Weight is the root of lightness, stillness is the ruler of recklessness. -> In the phenomenal world, weight anchors lightness. In the spiritual world, stillness (in and of the center) persists over recklessness. Therefore the Sage at all times stay centered at the weighted wagon. Although in luxury and glamour, (he) remain transcended and nonattached. -> Seeing the temporariness of phenomena, Sages identified him/herself as the center that give rise to the changing world. How could the lord of the world rule with a lightness? -> lightness here means not knowing the center, and attached to the changing. How can someone who does not know its center rule his/her life? Lightness will cost one’s foundation, recklessness will cost one’s lordship. -> When we follow our attachments, we are led away from the center. When we are away from the center, we lost our foundation. Like tree without root but attempts to rule the entire tree, we become reckless and lost our true lordship and mastership. We often describe spiritual masters as being grounded. At where do they ground themselves to? Laozi suggests grounding to the center. When we realize our identity beyond, and underneath the changing body-mind-self, we realize our deeper identity as the non-personal witness-consciousness-awareness-Self, which is the stable reality underneath and beyond the changing phenomena. When we realized this, we will not be confused by the lightness of the peripheral, and will know our everlasting home in midst of the changing phenomenal world. There is existence prior to heaven and earth being born. Quiet and still, independent and unchanging, rotating without end, it is the mother of the world. I don’t know its name, name it as Dao, and remotely name it as Big. -> The nature of the Dao. Big and therefore everlasting, everlasting and therefore far-reaching, far-reaching and therefore returning (to its source). -> Real biggest does not only pertain to size and power, but also of its everlastingness, far-reachingness, and its at one with the source. Look at great teachings of all great founders of major religion, founders are gone but their teachings are still presence thousands years after around the globe. Big, therefore, is everlasting, far-reaching, and exist independently as the source. Therefore Dao is Big, Heaven is Big, Earth is Big, and King (Man) is also Big. -> What in the world is Big then? Dao is, heaven is (relatively big and far-reaching), earth is (relatively big and everlasting), and extraordinary man is (those realized the Dao). These are the four Big in this universe, and King (Man) is one of them. Man follows the Earth, Earth follows the Heaven, Heaven follows the Dao, and Dao follows its own. -> Ordinary man follows the rhythm of the earth (the planet and its laws), earth follows the rhythm of heaven (the solar system and its laws) , heaven follows the law of the Dao. What then, does the Dao follows? It is what it is, beyond the notion of something following others (which implies definitions and separation). And therefore is far-reaching, everlasting, and independent beyond all. What is Big? When you ask ordinary people, they might say, bus is big, money is big, corporation is big, city is big, or country is big. When you ask what else is even bigger? They might say, earth is big, sun is big, or universe is big. So does ancient Chinese people, they thought heaven and earth are big. What is the Biggest of all? Laozi said, Dao is. Why? Because it exists prior to even heaven and earth, which is far-reaching, everlasting, and at one with one’s source. How come Man is described as one of the big fours? Because we have the potential to realized the Dao. Such is one of the blessings of being human. Reach the end of emptiness, abide in the end of stillness. Things manifest, i see coming and going. -> Emptiness here refers to reality beyond form. Stillness here refers to reality beyond mind. When one realizes this reality, one sees things coming and going, fully aware, but not affected by them. Despite of diversity, things all eventually return to their root. Returning to the root is stillness, is called answering to destiny. -> Despite of diversity of forms, all things are manifested in cycles of birth-growth-wither-death. E.g animal, plants, species, planets, galaxy, etc. Root here refers to the center that is beyond the cycle of birth-growth-wither-death. Return to the root, or answering to destiny, means realizing and abiding in one’s center, which is beyond diversity and transitory of forms. Answering to destiny is normal, knowing this normalness is wisdom. Not knowing this normalness, is recklessly doing dangerous deeds. -> Abiding in the center is normal. Knowing, realizing, recognizing the center as normal is wisdom (ordinary people would properly think otherwise). Where in fact, according to Laozi, not knowing this normalness and act selfishly, randomly, aimlessly, and ignorantly is reckless. Knowing brings compassion, compassion brings impartiality, impartiality brings nobility, nobility becomes heavenly, heavenly is a quality of Dao, Dao is timeless, beyond physicality and cannot be endangered. -> When we abide in the center and see all things come and go via this center, we can see equality of all (that we all arise from the same source), and therefore are in position to accept and be compassionate. When we have respect, compassion, and value all equally (including one’s “self”), we can then live without personal bias and arrive impartiality. When we live impartially ours actions and intentions are noble. As the purification continues, ones life becomes heavenly, which is a quality of Dao (see Ch5: Impartiality and heavenly of the Dao). This Dao is everlasting, and lasts even without form. Therefore, when one realizes, one is freed from the attachments to, identifications with, and limitations of forms. The first part of this chapter describes the difference between enlightened being vs. normal people. Enlightenment is a state where life is lived in alignment with the everlasting center, while ordinary people are lost in the diversity of forms and cycles of life and death. Enlightenment means one knows where one is from, ordinary people do not know its source and therefore are threatened by the changes and temporariness of forms. 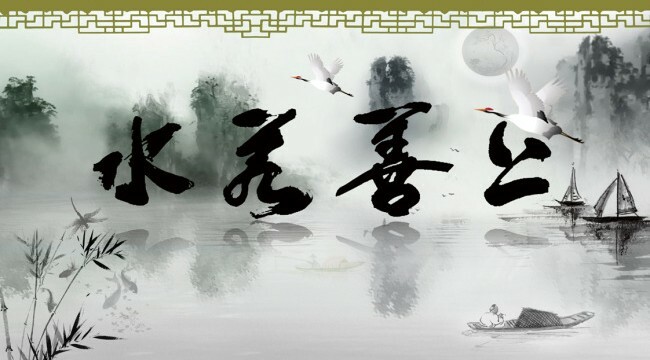 The second part of this chapter describes the process of Dao cultivation: study and know about the center, which provides basis for true compassion, which when cultivated and expanded leads to impartiality, nobility, heavenly, and finally to the realization of the Dao. How to proceed? We learn about the center, cultivate respect and compassion, let go of personal bias and attachments, and follow the guidance of and the flow of the universe, instead of to one’s self. Look but could not see, is called ‘Yi’; Listen but could not hear, is called ‘Xi’; Grasp but could not get, is called ‘Wei’. These three qualities alone could not provide an accurate description (of the Dao), therefore we blend them together as one. -> The Dao cannot be seen, cannot be heard, cannot be touched. Its upper part is not bright, its lower part is not obscure. Ceaseless and cannot be named, it goes back to nothingness. -> It is neither bright nor obscure, beyond name and form. This is the formless form, non-thing phenomenon, this is between seems and seem-not. We meet it and do not see its front, we follow it and do not see its back. -> It exists even at the condition of no form/thing, and therefore beyond descriptions of even seems and seem-not. It is all around and within us, yet no one (self) can perceive it. Align with this ancient way, to master today’s things. At one with the origin since ancient, is the nature of the Dao. -> This has been the case since the beginning of all, if we can realized it, we can arrive mastery (of things and the self). Is the Dao playing hide and seek with us? How come it is here yet we cannot perceive it? The reason is that it cannot be found with the “self”, which is separate and dualistic in nature, for Dao is beyond separation and duality. The more the “self” tried to find the “Dao”, the further away it is from it, like a cat chasing its own tail. However, when we go beyond the “self”, and abide in this Dao, where all arises from and flows with, we find our origin, we find the center, we find truth, and everlasting peace. The highest virtue is like that of water. Water benefits everything and does not fight, it positions itself at place everyone dislike, and therefore is close to the Dao. -> As we already discussed, the Dao is everywhere, impartial, and limitless. It represents the source and context of all, and therefore allows for and benefits all thing. Look at water, it consists of 70% of our physical body and exists in different forms in every parts of the planet. There is no fighting in water (it does not struggle), it merely is what it is. It is excellent at: positioning itself, rooting its mind, giving out benevolence, maintaining its integrity, governing things, manifesting its abilities, and moving at the appropriate time. 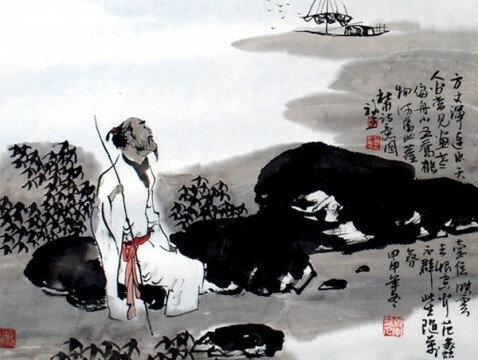 -> Here Laozi describes what water is like, and what happens when one align with the Dao: One finds the right place to abode, knows ones root (of the mind), gives out right benevolence, accomplishes what one said, manages affairs properly, manifests one’s ability perfectly, and moves at the right time. It does not fight with/for anything, and therefore draw no grudge. -> As one flows with the natural rhythm of the universe, of the Dao, there is peace within; no matter what the external conditions are, even in mist of wars and conficts, there is peace. Such is the teaching of the Sutra of Everlasting Peace – Qingjingjing. Virtue is the common value advocated by all religions and spiritual disciplines. What is the purest Virtue that we can seek and become? Instead of religious and moralistic right and wrong, Laozi describes the highest Virtue is like that of water. Seek the virtue that embraces and allows for all, even to the lowest, darkness, and beyond all men-defined preferences. When we align ourselves with this natural rhythm of the universe, we flow perfectly in the world, and is at peace no matter what happens in the phenomenal world. The valley-like spirit does not die, it is the mysterious femininity. -> Dao is like a vast valley that is everlasting, Laozi called it the mysterious femininity. Why feminine? In Chinese culture, e.g. Book of Changes, Femininity is associated with giving birth, allowing, and embracing all things, with earth being the most “Yin” and feminine of all phenomena. Just as the earth carries all things without preference or limits, the Dao allows for the arising and disappearing of all things, impartially, without limit, and without ends. The door of this mysterious femininity, is the root of heaven and earth. -> When one arrives at the gateway of this mysterious femininity, such as during the moment transiting to or from deep sleep and meditation, one finds the root of heaven and earth within. i.e. when one enters into the door, self disappear and so is the perceived heaven and earth; as the self appears, so is the appearance of heaven and earth and all entails. It exist gently and steadily, we use it and it has no limit. -> This source (the mysterious femininity) is everlasting, limitless, and without end. People often associates themselves with the masculine: I am this, i want to do this, i seek this, i will this to happen. 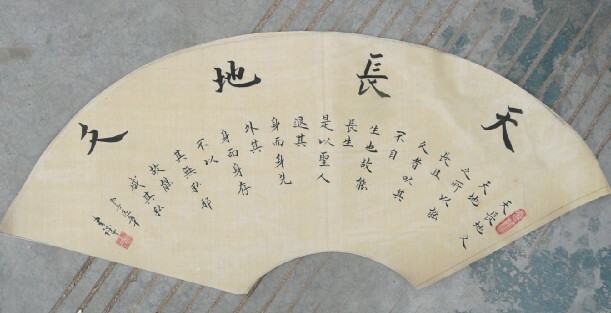 Laozi, being a enlightened master, found that the feminine is also useful in cultivating the Dao. Instead of driven by a strong and masculine “self”, he advocates for surrendering the attachment to, and identification of the “self”. Through laying down one’s bias, judgements, desires, one learns to live one’s life in harmony with the natural rhythm of the universe, and will eventually realizes the reality beyond the “self”. The acceptance of our more feminine side, therefore, facilitates the process. Heaven and earth do not fixate on benevolent; they deal with all things as if they are grass dogs. The sages do not fixate on benevolent; they deal with people as if they are grass dogs. If we look at the space between heaven and earth, isn’t it like a musical wind chamber? When emptied it is without limit, when moved it gives out limitlessly. -> Multiple levels of interpretation are possible here. On breathing its describe the natural coming and going of air or energy in one’s body. On awareness, it describes the coming and going of consciousness in one’s life, on the universal level, it describes the coming and going of universe with one’s perception. Excessive speeches exhaust ones reasons, it is better to stay centered. -> it is easy to get lost in words and thoughts. Seek and abide in the center, which is the underlying reality beneath speeches and reasons. We have biases. We like certain people better, we don’t like others. We prefer certain situation (e.g. chocolate), we do not prefer others (bitterness). Yet, when we look around the nature, the sky (including the sun and moon and stars), does not have bias and shine only to certain people or country. The earth beneath and supporting us all, does not favor certain species other others. They treat us all equal like neutral grass dogs, and continue its role and jobs as sky and earth. Through this lack of bias, impartiality is achieved. A realized sage, similarly, also live ones life like heaven and earth, beyond the limitation of any bias, and therefore achieve impartiality. The way towards this impartiality and its effects (benefits) will be explained more in Chapter 16.